Same great service. Shiny new building! In order to better serve the entire state of New Mexico, we have relocated our operation to Caballo, NM. This location affords quick access to Northern NM, while still offering quick response time to our valued customers in Las Cruces. We continue to offer the same great products and provide the same great service. KN Enterprises LLC - Moving You. You want to search something ... ? Proudly offering a full line of Yamaha products! 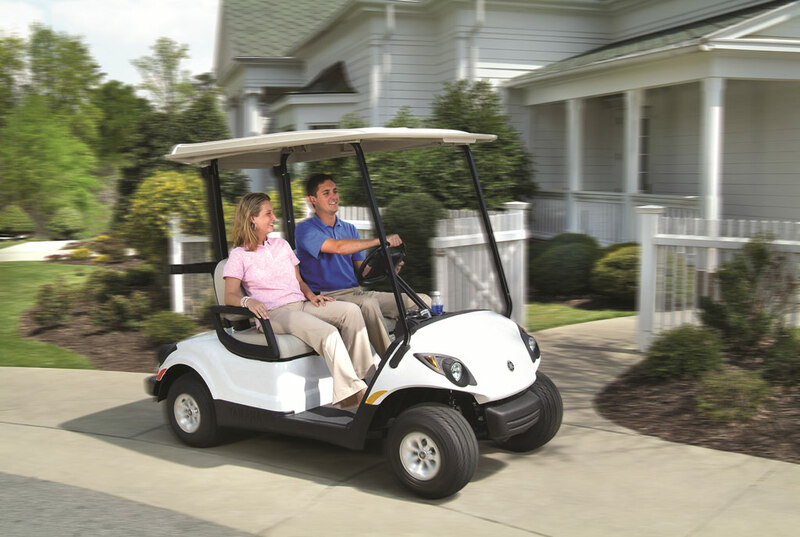 The DRIVE golf car is plain and simple fun to drive. 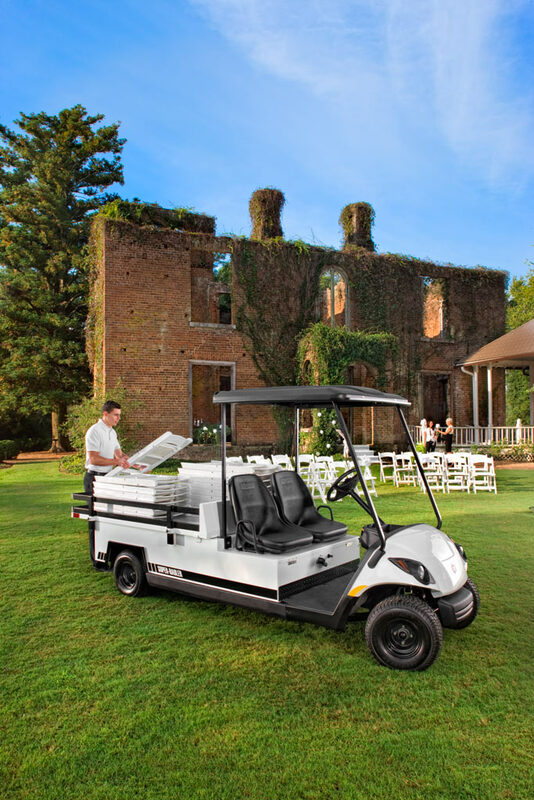 In fact, its technology (and its spirit) has more in common with Yamaha motorcycles, ATV's and performance watercraft than with ordinary golf cars. 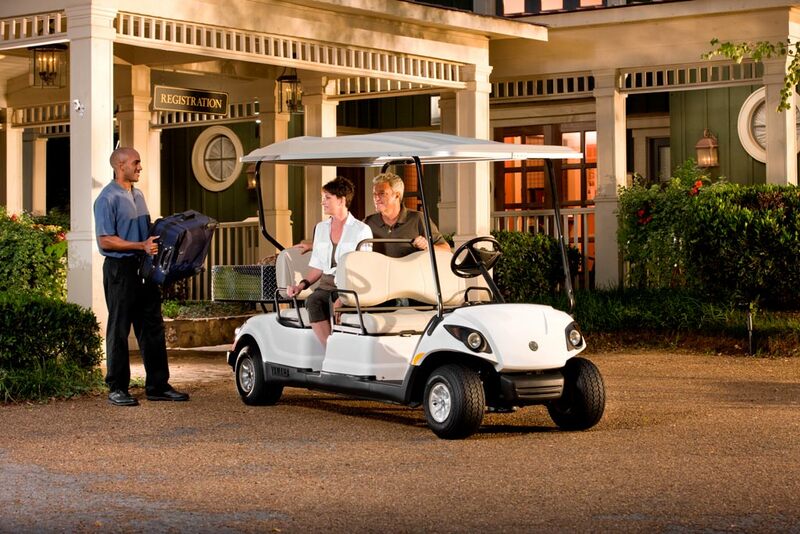 Yamaha Personal Transportation Vehicles make the perfect addition to your family. The Fuel Injected gas model provides choke-less starts, reduced emissions and exceptional gas mileage while the electric version gives you an 19 mph performance (with optional speed kit) thus making them the ideal vehicle for transporting guests, hauling the family or running the occasional errand. Add a radio and speakers, floor mats, a rear facing seat or any other number of Genuine Yamaha Accessories and equip your Personal Transportation Vehicle for just the way you use it. Need space for four or six? Let the Concierge 4-Passenger or 6 passenger help. Built for comfort and convenience its stylish and functional design provides easy entry and exit with plenty of leg room. 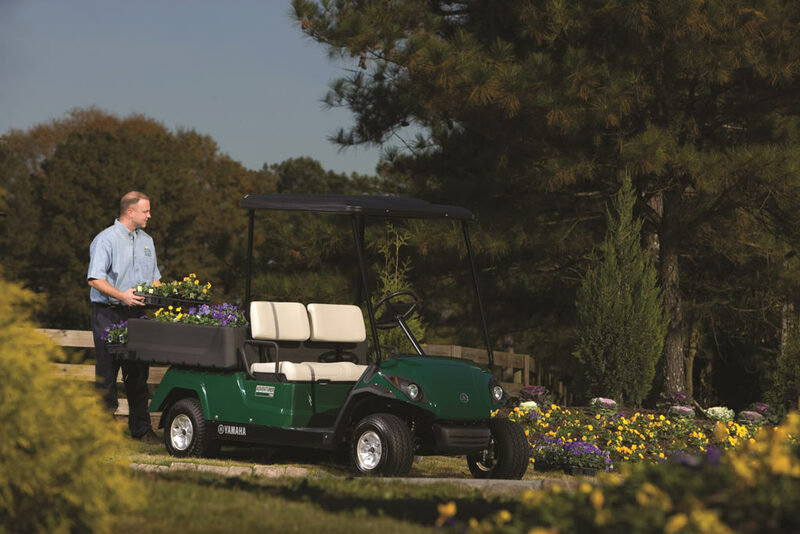 Available in gas and electric the Concierge 4-passenger and 6 – passenger includes standard features like headlights, tail lights, horn and wheel covers. So whether your shuttling friends, family, resort guests or customers were sure the Concierge 4-Passenger or 6 passenger has something to offer. And as they say, the more the merrier. Hard work beware. Inside the Adventurer One beats the adrenaline-charged heart of The DRIVE®, the Yamaha vehicle designed not only to be the most comfortable, dependable golf car ever built, but also the least expensive to maintain. Similarities aside, the Adventurer One was built for work. And despite its rugged good looks, the Adventurer is ready to handle your most daunting tasks without even breaking a sweat. So whether you're watering your newly planted shrubs, dragging the infield, maintaining the campus, moving supplies to the marina or fly fishing in the great outdoors, take comfort in knowing the Adventurer One will work as hard as you do. When you need a little something extra, the Adventurer two comes through. Its 800 lb. payload capacity, beefed up transaxle and four wheel drum brakes means it goes where you and your stuff want to go, all with comfort and security. 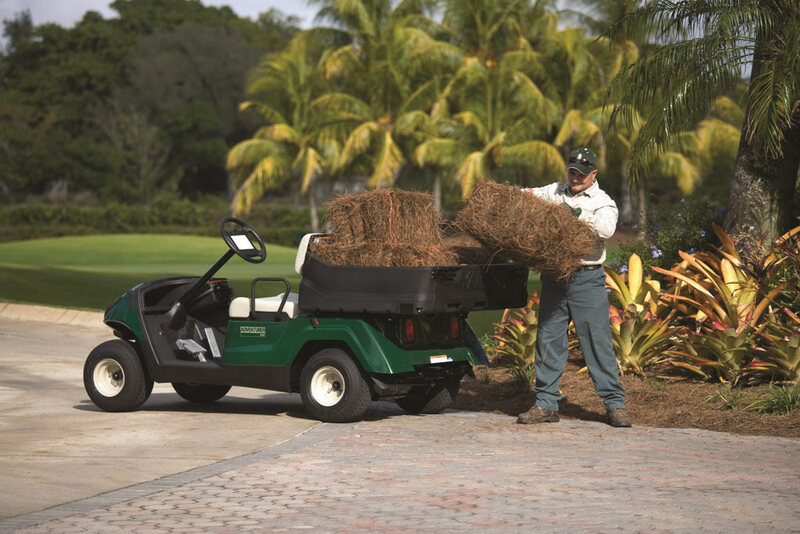 Across campus or a secluded valley, this big brother of a hauler will take you there. With a super-size aluminum cargo bed the Yamaha Super Hauler is big enough to handle all your super sized projects. With standard features like cushioned contoured bucket seats, a floor mounted horn, headlights & tail lights this is one reliable hauler that'll always be there to save the day. Imagine this. It's 90 degrees outside and you have 3 thirsty foursomes entering the back nine. 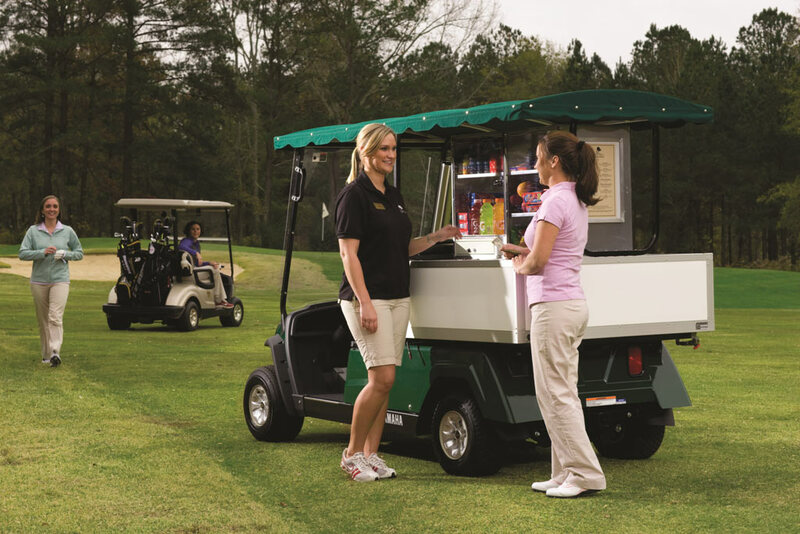 With the reliable Fairway Lounge, not only can count on delivering some ice cold relief to your customers, but you can also count on a nice boost to your bottom line. And with Yamaha's tried and true 11.4 horsepower gasoline engine you can be sure you have plenty of power to take your fully stocked vehicle uphill while it's self-adjusting 4 wheel brakes give you the stopping power you deserve. The display case and cold storage unit meets or exceeds all National Sanitation Foundation material standards for distribution of prepackaged foods. Not to mention its amazingly low maintenance requirements spell lower cost and less downtime—which means higher profits. If that's not refreshing, what is?